The school year is in full gear and cooler weather is on its way! 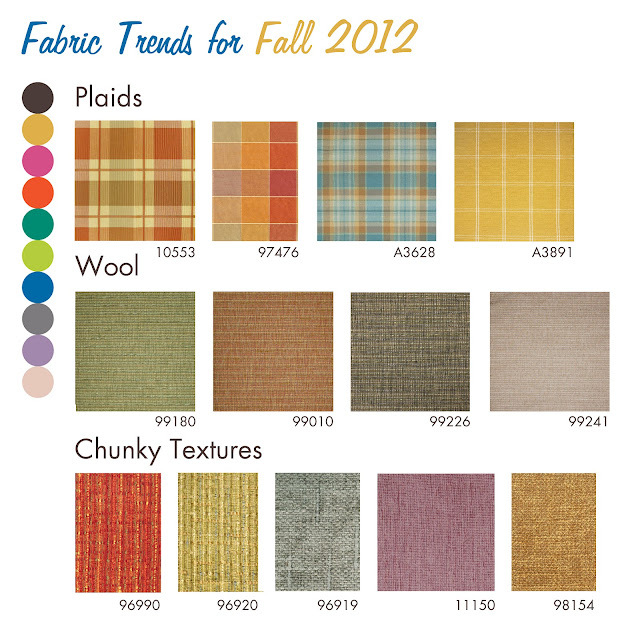 Take a look at what Greenhouse has to offer in pattern and texture this fall! Some of the hottest fabrics are plaids, wools and chunky textures. Your customer will love these warm fabrics that trap in the heat. Try them out on throw pillows to spice up your customer’s home and warm it up in temperature and tone for this coming fall! Bright and bold colors on heavy duty fabric are perfect for interior decortion. These fabrics are best for any project that needs durability. Thanks for creative ideas.